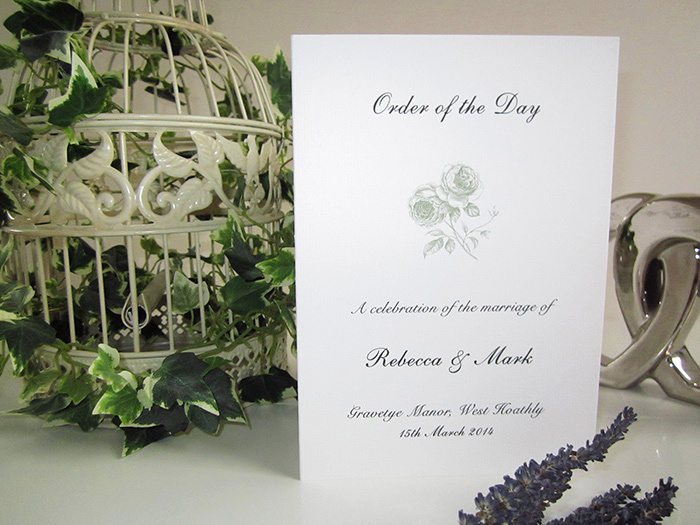 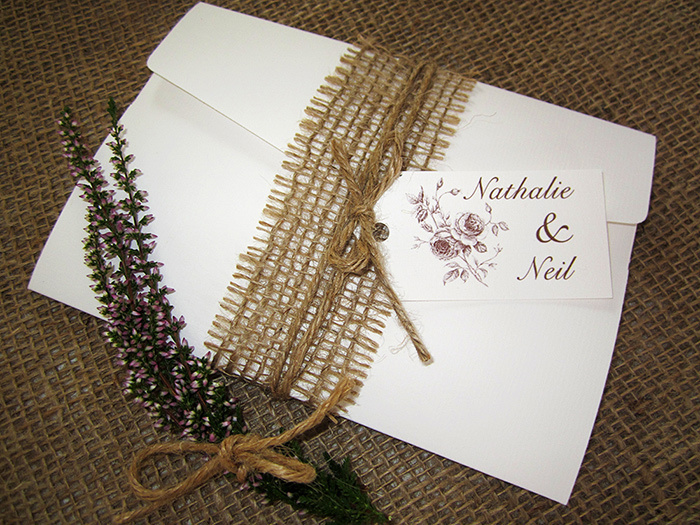 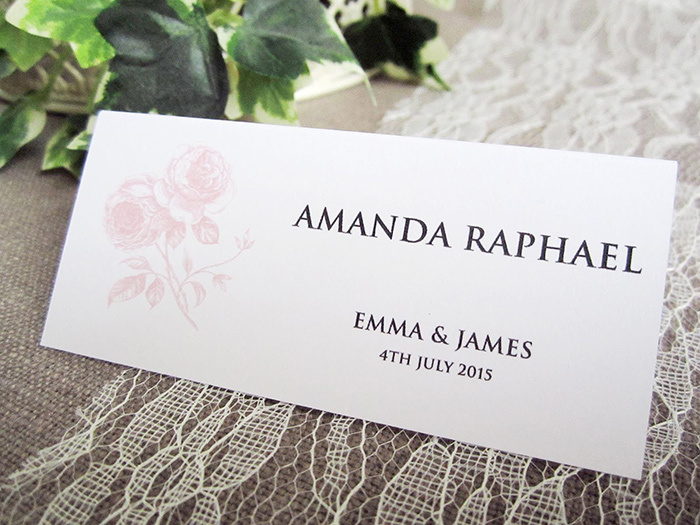 The ‘Rustic Rose’ pocketfold is the perfect invitation for a country, rustic themed wedding. 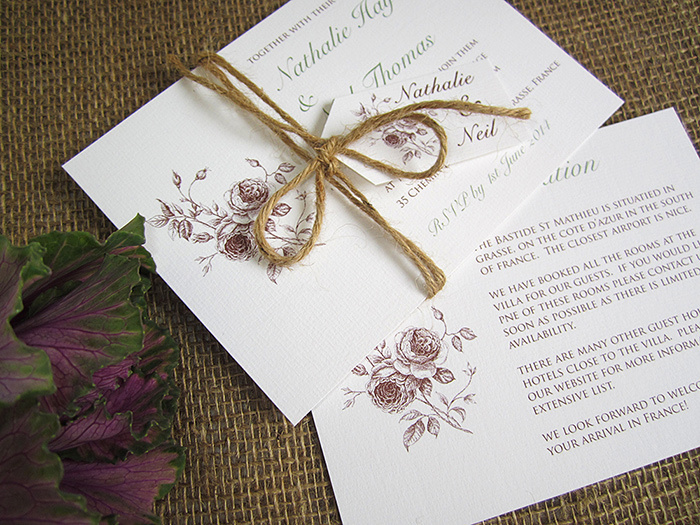 The design has a lovely vintage rose motif as it’s central theme with a hessian belly wrap, finished off with twine and a personalised tag. 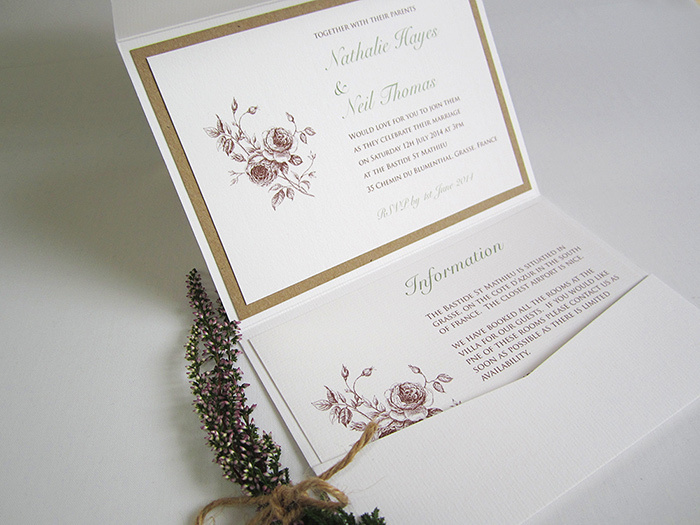 Shown here is in whate laid card with kraft kard backing, the invitation is available in many different colourways. 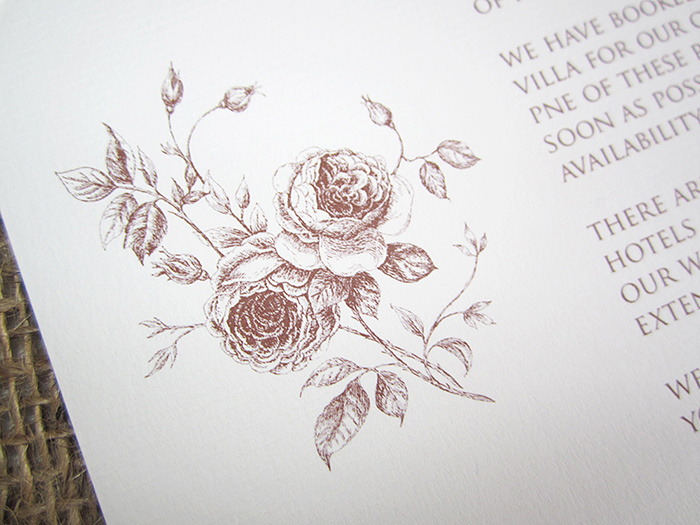 The invitation comes with one insert card included and an unlined envelope in white or ivory as standard. 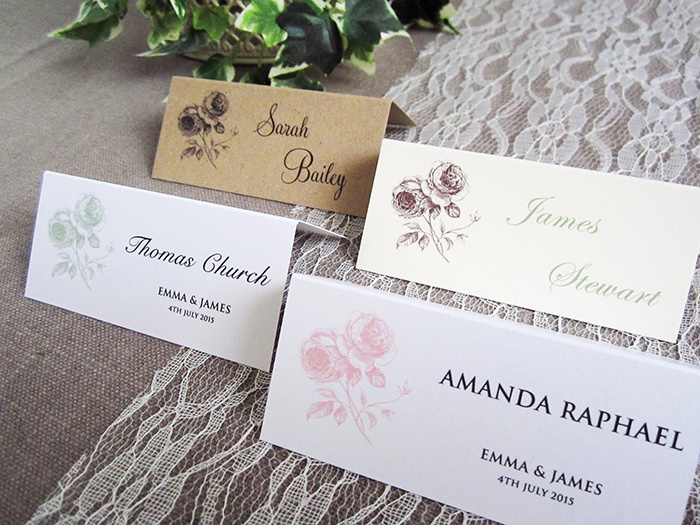 Other colours and envelope lining is also available. 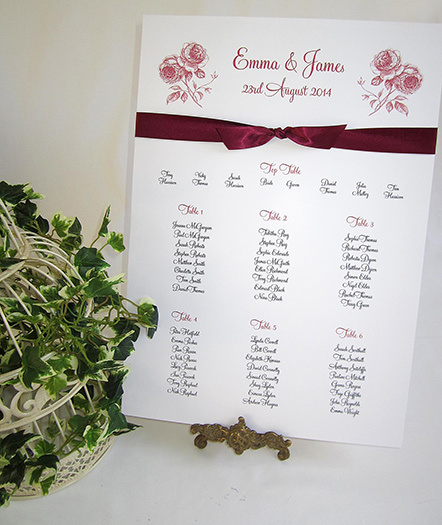 Add RSVP, or insert cards with gift list, directions or accommodation information for your guests. 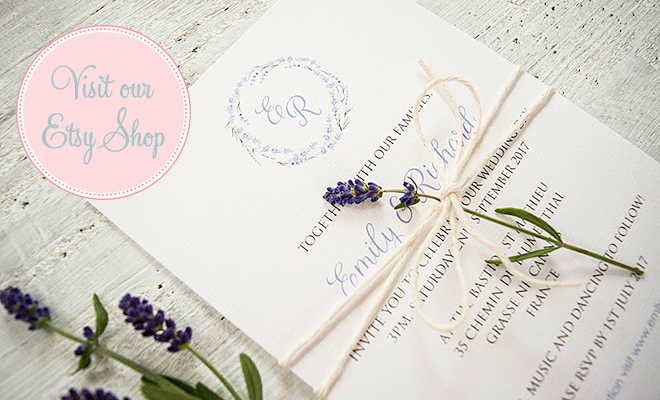 This design is also available in a flat style rustic invitation stack.